6 August 2015. 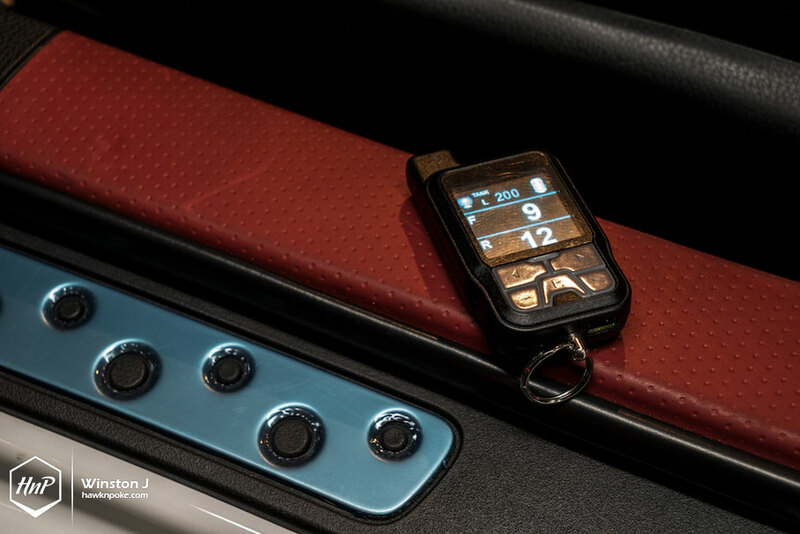 To enthusiasts residing in certain areas of the world, today (8/6/2015 in US calendar) has already been marked as another ’86’ day, in celebration to the glory of AE86/GT86 generations and often celebrated with 86 meets and trackdays. 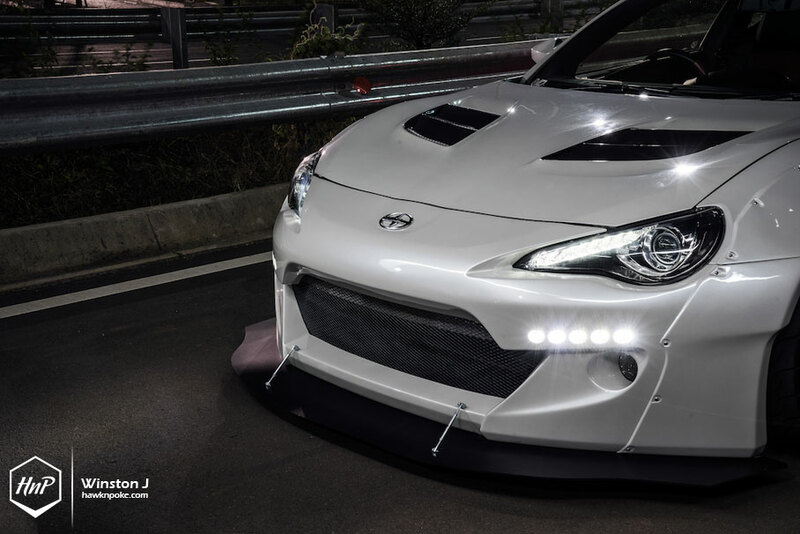 Following such tradition, we’ve prepared this special GT86 for all of you to admire. 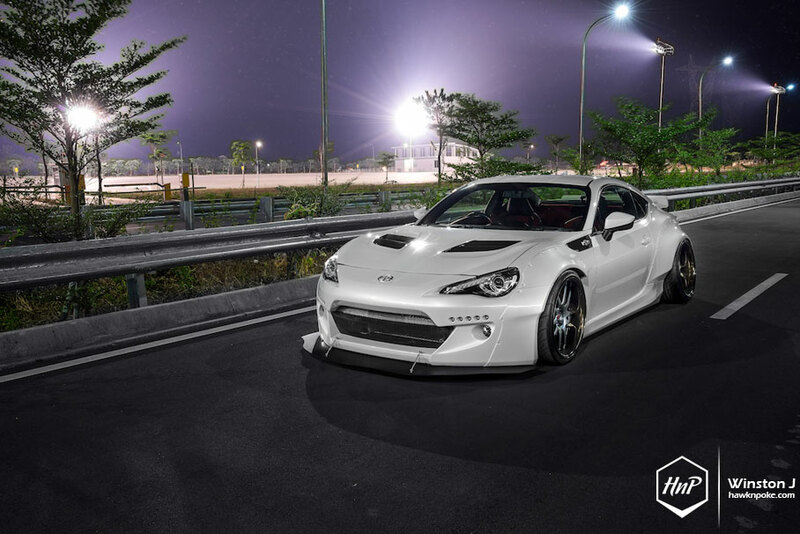 Equipped with Rocket Bunny V2 kit and running on limited edition StanceNation Work Wheels, this is the game-changing GT86 that’s been cruising on our streets lately and stealing plenty of attention on Instagram. 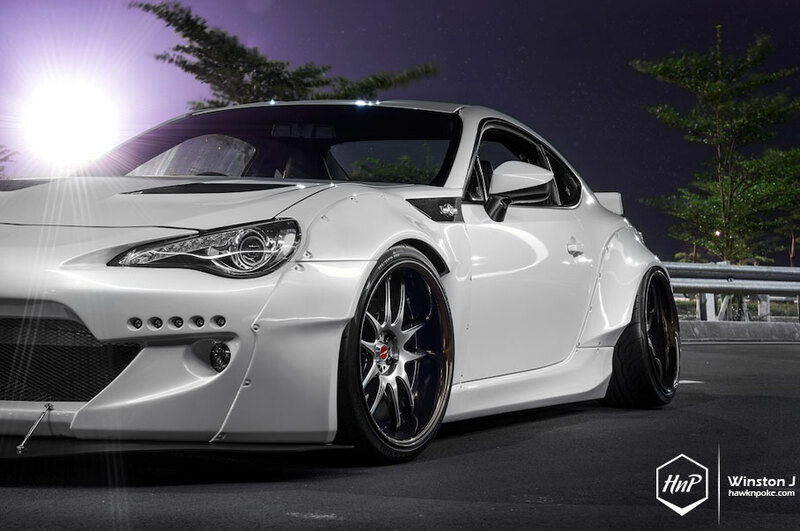 Daring, irreversible and irresistible; Ken Miura’s Rocket Bunny kit for GT86 has undeniably taken the 86 world by storm. 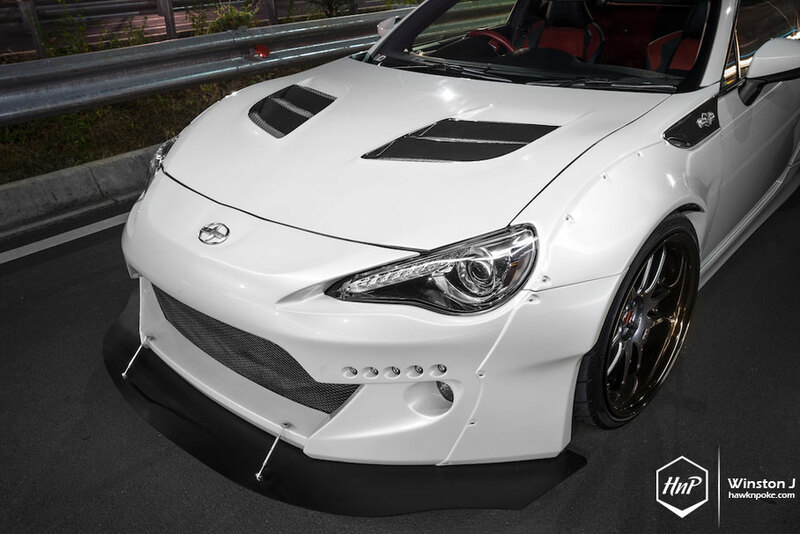 From functional 86 drift cars to colorful show car Kings, we’ve seen this good-looking widebody kit being used to fit aggressively wide, negative-offset wheels onto the compact coupe. 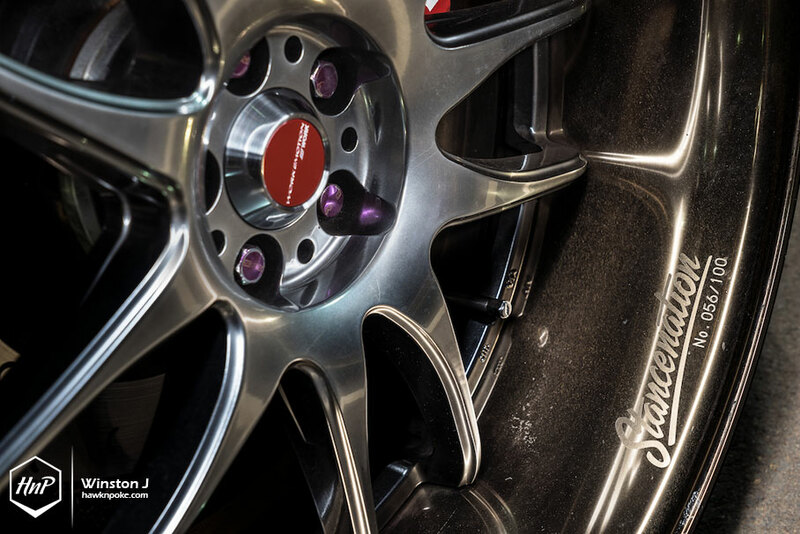 For performance enthusiasts, this means being able to fit much wider, better tires for their overpowered project cars. 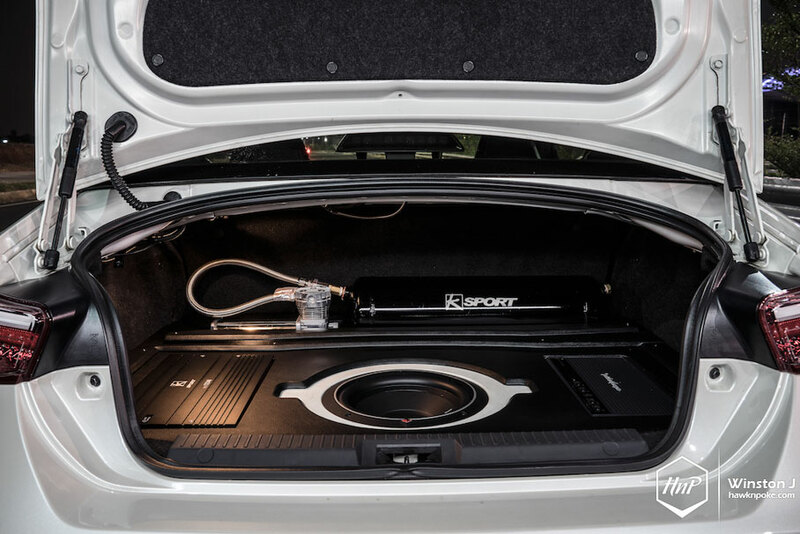 Meanwhile for aggressive-fitment enthusiasts, this means being able to fit barrel- and lip-widths combination that’s never even been heard before on the scene. 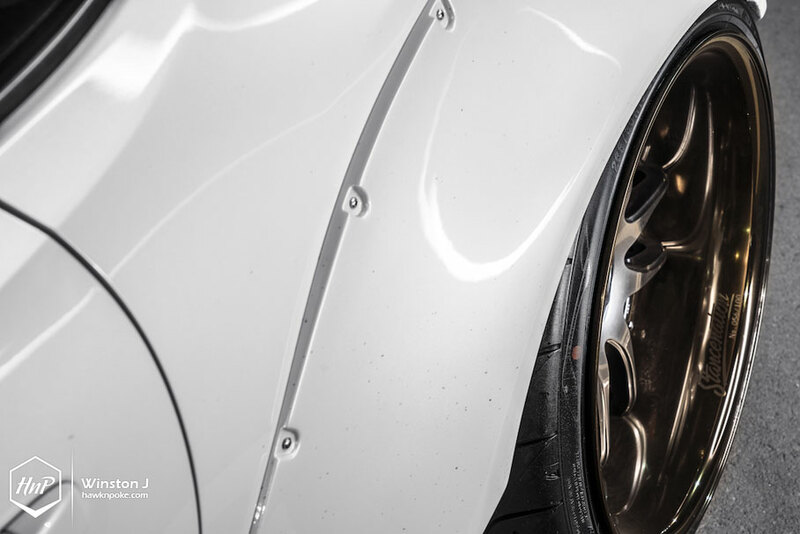 Either way, it’s the one kit that has changed the entire course of new-era Japanese modification styles. 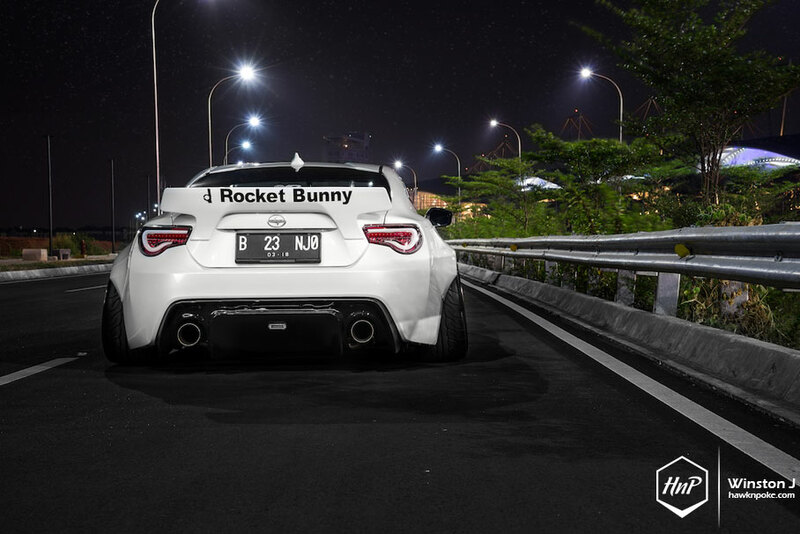 Having admired these Rocket Bunny cars for few years already, Kiki Anugraha has secretly planned on building his own personal Rocket Bunny build since day-one. A dream, a personal goal. Being one of the newest platforms onto which the RB kit is available, and definitely one the easiest to acquire, Kiki decided to choose the modern hachiroku as his base platform. The RB build didn’t start immediately though. 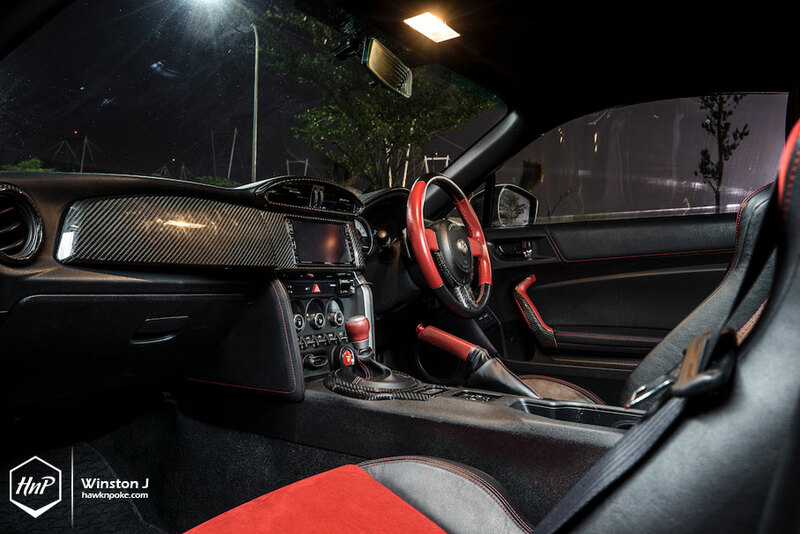 Wanting to enjoy the GT86 in a subtler form while planning for the right ‘angle of attack’ towards the final build, Kiki started his journey by giving the 86 some usual street-style mods. 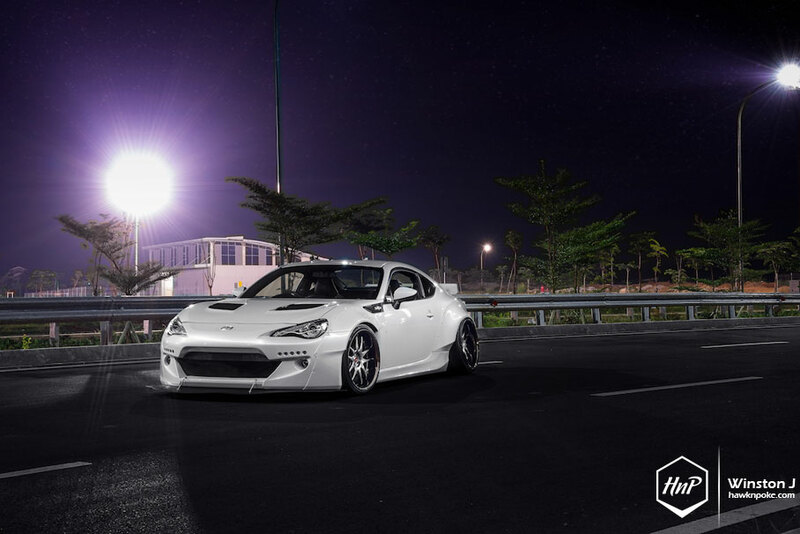 Some of his previous set of mods include TRD bodykit and TE37 wheels, which also happens to be one of the most popular combo installed by other local 86 enthusiasts. “The predictable choice for the average 86”, as some would put it. Towards the start of 2015, Kiki started to get things going for his final build. 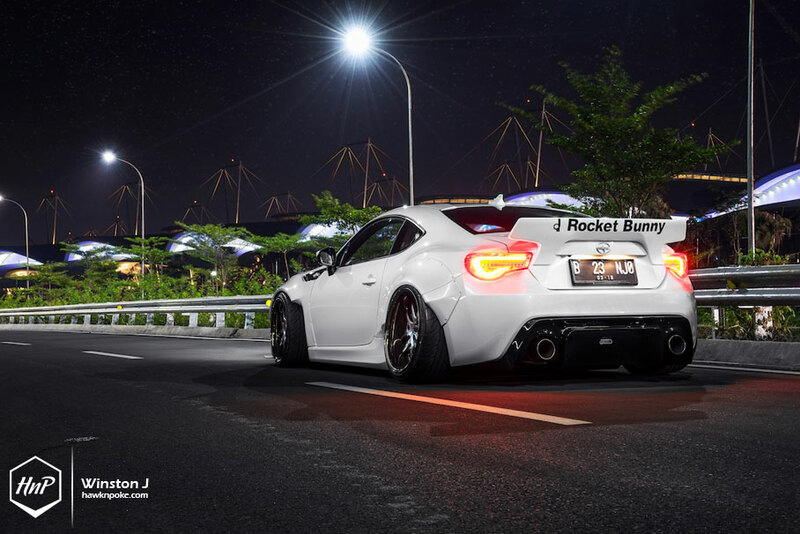 A showtime for Kiki’s Rocket Bunny GT86. 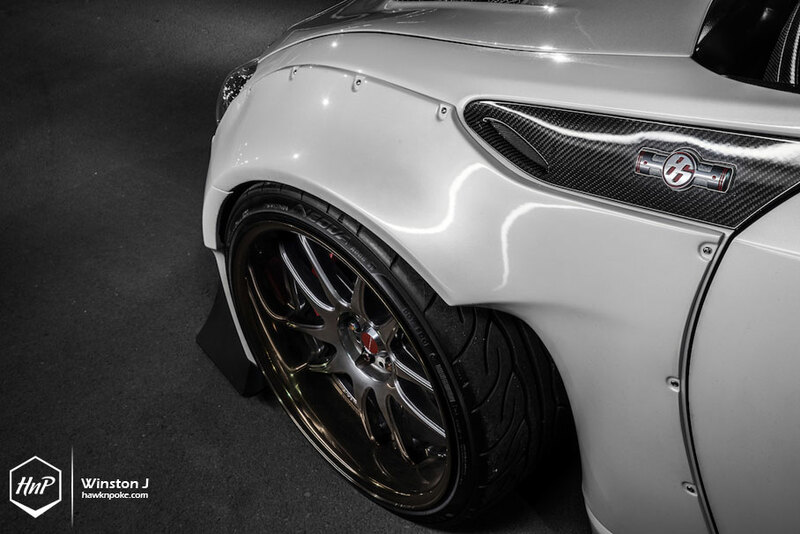 Following the release of StanceNation limited edition CR2P Work Wheels earlier this year, Kiki immediately knew the kind of look that he’ll be pulling off with his extra-wide bunny. An uber-stylish street-style that’ll put ‘form > function’ above everything. Yet it’s not only all about show either. 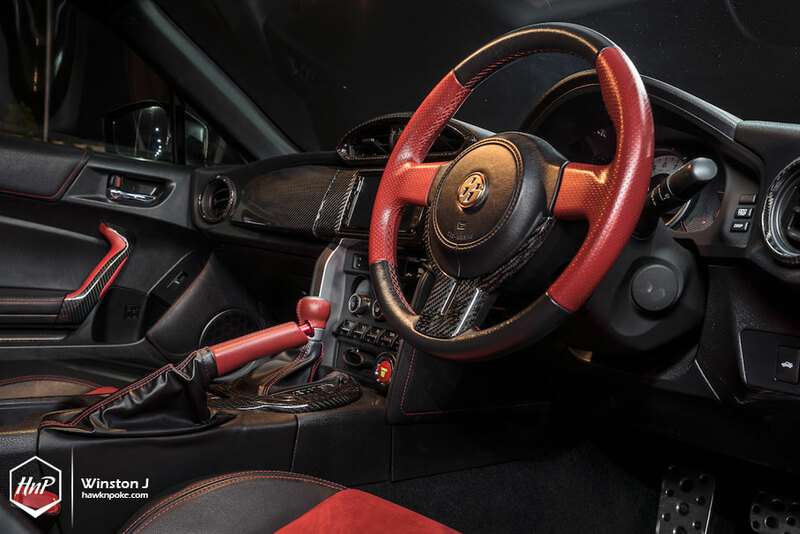 Having previously tuned his GT86 for upmost street-performance, a plethora of functional mods remain kitted onto the car. 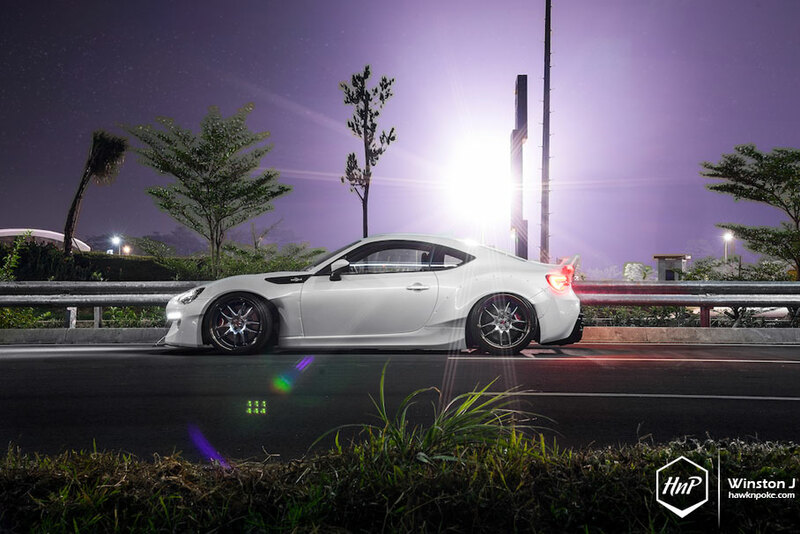 From Cusco parts to Tomei header and Amuse exhaust, Kiki’s GT86 definitely packs more ‘oomph’ than your average compact coupe. Further supported by Advan Neova tires and Alcon brakes, this is surely the kind of build that’s stunningly good-looking without neglecting what’s hidden to the eyes of bystanders. Built to be driven. 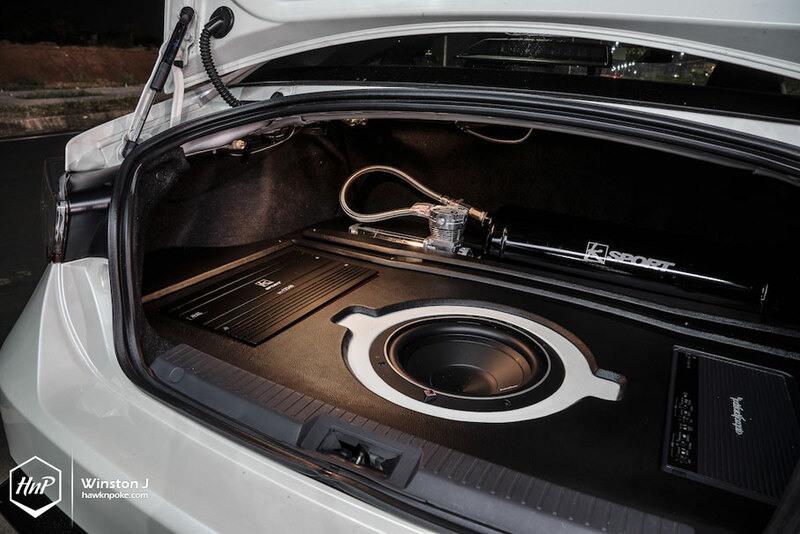 Utilizing Ksport air suspension system, Kiki easily paves his way through all kinds of streets Jakarta has to offer. From speedbumps to steep slopes, such air suspension system allows immediate height-adjustment to pass through challenging road situations. A huge relief for Kiki given the 86’s new width; so wide that it wouldn’t fit on our local towing trucks!